First floor Master Bedroom with walk in closet plus 3 bedrooms upstairs. 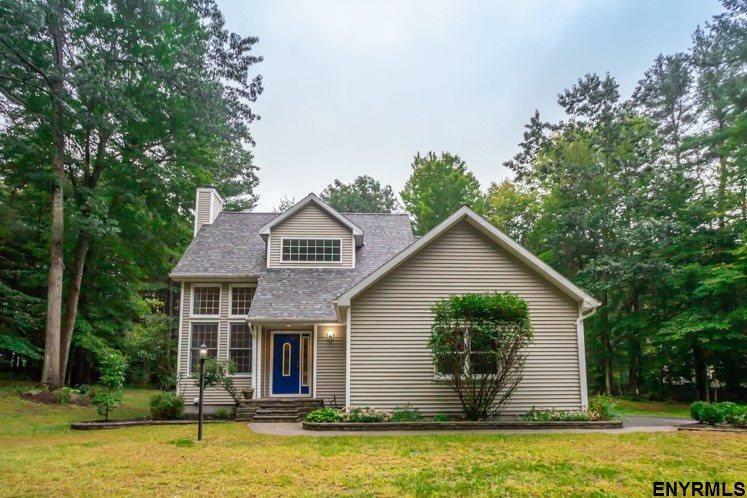 House situated to offer full privacy from two story living room with wood fireplace, open floor plan and rear deck. Vaulted and Cathedral ceilings. Plenty of counter space and storage in kitchen with center island and breakfast nook. Mostly finished basement. In-ground sprinkler system and shed for additional storage. Newer roof and recently painted interior.4th Bedroom is used as an office and does not have a closet.